Much of the joy of decorating is having the ability to design bespoke items for a client’s home. It’s these custom details, along with the layering of one of a kind items - often vintage or antique - that create rooms that are unique, timeless and a simply a pleasure to experience. 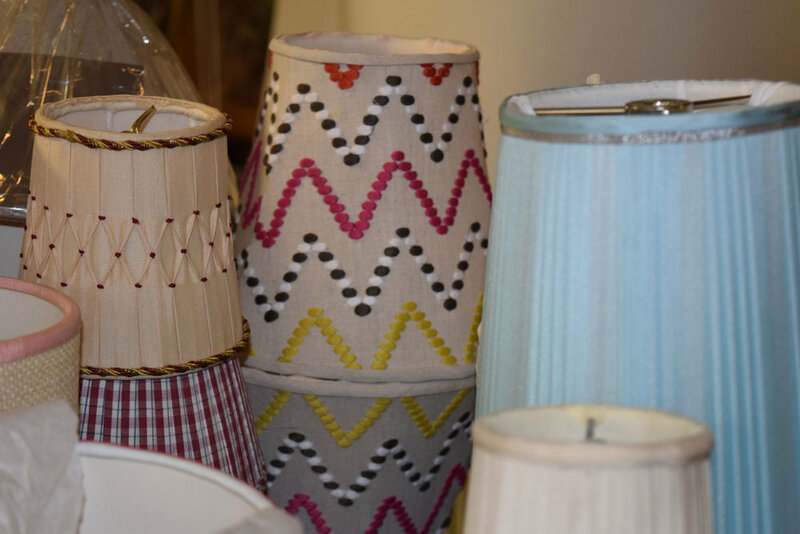 One of my absolute favorite custom finishing touches comes in the form of lampshades. Custom lampshades on beautiful lamps make an immeasurable difference in the feel of a room. They can be incredibly modern, transitional or traditional, but no matter what genre a custom shade is, it is exceptional! Lisa Simkin, of Blanche P. Field in New York City, is truly a master at designing such exquisite shades. 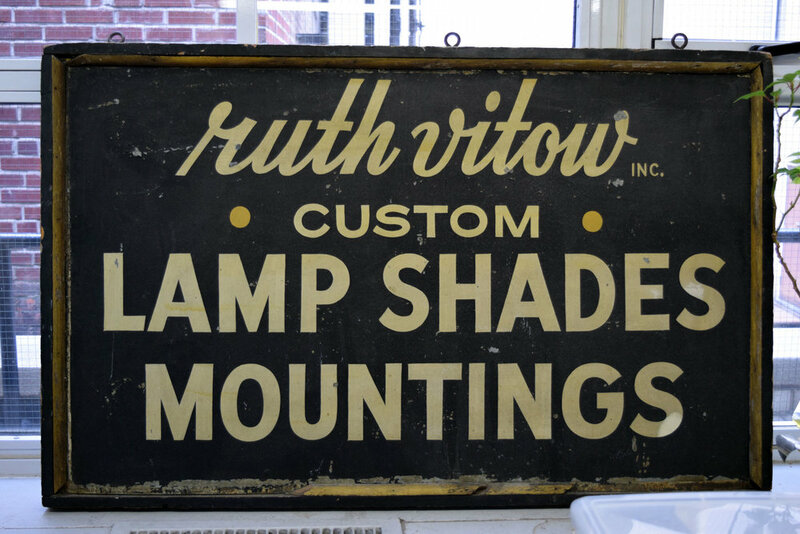 Blanch P. Field, a Boston based company, purchased the business from Ruth Vitow in New York. Mrs. Vitow worked until the day she died at the age of 102. She was a milliner who applied her skill to lampshades. Clearly a craft Lisa has embraced. 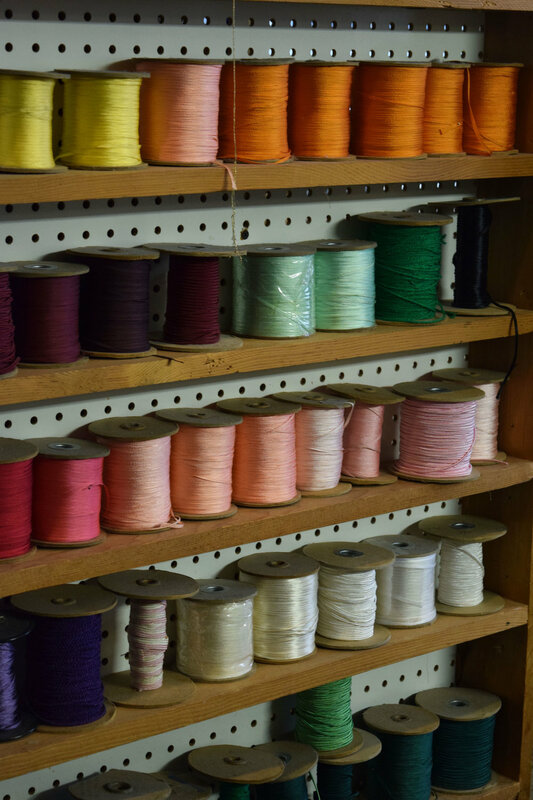 Lisa oversees six ladies sewing by hand, one lady electrician and one lady expediter – girl power to say the least and all ‘Hand-Made In The USA’. In New York that is! The wire frames are made to order and carefully sized to a lamp. Shade materials include everything from fine pongee or habutai silk, linen, cotton, Hermès silk scarves or a client’s own material that may match the scheme of a room. Fabric shades can have box pleats, reverse box pleats, knife pleats, smocking, shirring and twisted trim or tape detailing on the top and bottom. Pops of color are always remarkably successful. They can also be pierced paper, laminate or string shades. The options are truly boundless – these are just to name a few! Lisa has an innate sense of style and fashion that she applies directly to her shades. Her vision when she sees couture fashion instantly translates into a fabulous lampshade. And she treats lampshades as such – couture fashion. Lisa perfects the scale and shape that best fit a lamp likening it to a dress that fits the body gracefully or a hat that frames the face. Enjoy this visit to her workroom to observe firsthand how the stunning shades you see in magazine spreads and design books are made by hand. You will notice a collection of grey sconce shades that were on their way to Bergdorf’s chandeliers. You will also find photos of shades for my Master Bedroom, currently in production, with a ‘box pleat - pinch every other pleat (in contrasting blue thread!)’. And most irresistible is that sweet little girl Gigi who is as comfortable as can be at her Blanche P. Field home!